With so much hype and money surrounding the AI industry, it’s as good a time as any to be an AI company. In 2018, billions of dollars were invested in AI companies, and by 2030, the industry is projected to be worth more than $15 trillion by 2030, according to research firm PricewaterhouseCoopers. Currently, TNW is part of a cutting-edge AI program sponsored by the European Commission, named Data Market Services, aiming to advance and support European data-centric startups. But not all companies that claim to use AI are actually leveraging the technology. Many companies now make vague claims of using AI in their products and services to secure funding or attract customers. A recent study by London-based venture capital firm MMC found that out of 2,830 European startups classified as AI companies, only 1,580 accurately fit the description. 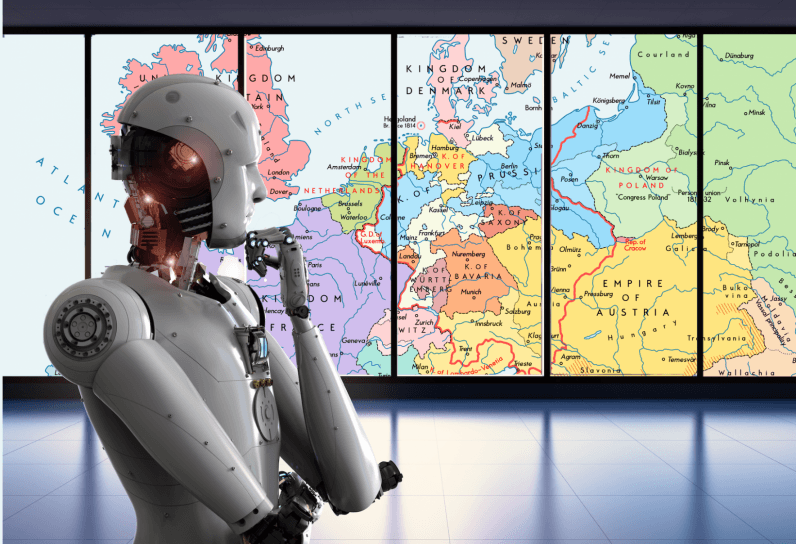 To help see through the haze, we’ve compiled a list of European startups that we think are leading real efforts in the AI space. But before we delve into the list, a few notes on understanding AI. The AI industry has historically struggled to define what is artificial intelligence. Very broadly, AI means “making computers behave in ways that, until recently, we thought required human intelligence,” according to Andrew Moore, Dean of Computer Science at Carnegie Mellon University. This is a fairly accurate definition of AI, but it also shows how broad the field is. For instance, a few decades ago, chess-playing computers were the cutting edge of AI technology. Today, chess is considered boring, and AI highlights are dominated by real-time facial recognition algorithms, self-driving cars, and AI models that can master the most sophisticated games. The point is, the definition of artificial intelligence is a moving target and shifts with technological advances and our expectations from computers. That’s why it’s pretty hard to determine what is or isn’t AI. Therefore, instead of looking for companies that develop weird, super-advanced AI technologies, we tried to focus on companies that contribute to the industry in simple yet efficient ways. So without further ado, here are some of the European startups we think are leading promising efforts in the field. German Autolabs is a Berlin-based developer of voice assistants and an example of putting specialization to good use. Chris, German Autolabs’ assistant, is specialized for in-car use. The assistant is encased in a circular-shaped device with a display installed on the dashboard. Chris uses voice recognition, natural language processing, and gesture detection technology to perform simple commands such as sending text messages and playing music. The company also plans to add navigation capabilities in the future. In a sense, Chris is not a general-purpose AI platform like Amazon’s Alexa, Apple’s Siri and Google’s Assistant—it has been designed to perform a few simple tasks. But it does those in a very efficient way and helps solve a very specific problem: Keeping the driver focused on the road. This an effective use of contemporary AI to make driving and roads safer. As I have argued before, one of the fundamental problems of voice-based AI assistants is that they confuse their users by offering too many options and no user interface. In this regard, German Autolabs has shown that with AI assistants, less is more. The company recently secured a €7-million round of funding. Qucit is a French startup that is using AI to make cities more efficient. The company’s vision is that by quantifying urban activities and processing the data with AI algorithms, we can reduce pollution and optimize transportation and resource management. Qucit’s platform gathers data from a variety of sources such as weather data, traffic data, pollution sensors, connected vehicles, and city infrastructure. It then runs the data through machine learning algorithms to make recommendations, such as bike sharing redistribution, parking management, public transportation planning, and improving safety patrol to reduce accidents. Qucit is an example of how AI algorithms can help make our cities cleaner and greener. Qucit recently raised €1.7 million in funding to help develop its platform. It is also backed by Urban-X, a startup accelerator that is focused on using technology to reshape urban life. MX Healthcare isn’t the only company leading efforts in applying AI to breast cancer detection. But what makes it special is that it has trained its AI model on more than a million mammograms from partnering radiology offices and hospitals, according to Jonas Muff, the company’s CEO. The company’s own team of radiologists have also worked to check and enhance the sample data to help improve the precision of the algorithm. The company ultimately aims to develop a cloud-based, on-demand platform that will put its cancer-detection AI at the disposal of radiologists across the world. This can potentially help deal with the shortage of radiologists across the world. Based in Amsterdam, Braingineers is an emotion analytics company that uses AI to help companies better understand how their content affect users’ emotions and behavior. Braingineers uses eye-tracking devices and EEG headsets to collect data while users are interacting with their websites and online content. It then uses deep learning algorithms to process the data and find patterns to measure joy, attention and frustration. AI-powered emotion detection can help companies tailor their content to improve user experience and increase the conversion rate of their applications and websites. Emotion detection is a competitive market and is already dominated by companies such as Affectiva and Cogito. However, Braingineers has an early-mover advantage in Europe, especially since direct measurement of user behavior requires physical laboratories. The company has already onboarded several household European brands. In a domain as diverse and varied as the artificial intelligence industry, sometimes the key to success can be to focus in a specific niche. That’s why Germany-based Understand.ai looks promising. Understand.ai specializes in training and test data for computer vision algorithms with a special focus on self-driving cars. The AI algorithms that enable self-driving cars to make sense of their surroundings and detect different objects rely heavily on quality, annotated data to train their neural networks and function properly. Gathering the right data to train and test data continues to remain one of the main challenges of AI companies and has given rise to its own market. Understand.ai provides mobility companies with training and validation data for computer vision algorithms. By focusing on a niche sector, Understand.ai makes sure that it can excel at what it’s doing. It provides data in various formats and because it’s a Europe-based company, it also makes sure the data it provides its customers is compliant with GDPR. While many might argue that providing training data is not AI, it certainly is a very important part of contemporary AI technology. As part of the Data Market Services consortium, we are looking for EU-based startups interested in receiving free training in GDPR compliance, fundraising, pitching skills and many more. Sounds good? You can sign up your startup here. This post is brought to you by Data Market Services.